Make the most of your batteries with the ChargeMaster, plugging in and charging anywhere in the world. 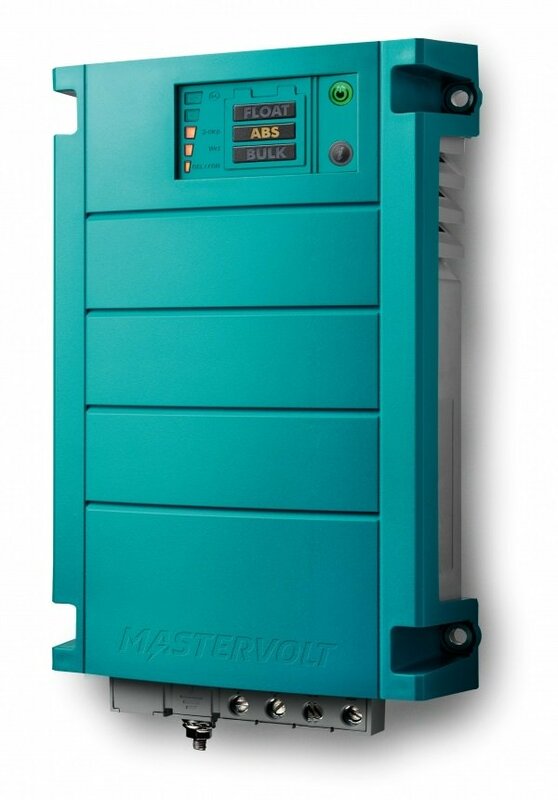 Mastervolt’s ChargeMaster guarantees fast and complete charging of your batteries no matter where you are. The ChargeMaster can charge multiple battery banks simultaneously thanks to its combined functionality. Moreover, all ChargeMasters can be easily connected to a MasterBus network with only one cable and one connection (not available on ChargeMaster 12/10 and ChargeMaster 12/15-2). You also have the option of central, local or remote monitoring, configuration and control of your system. The ChargeMaster is available in various models to guarantee you the ideal battery charger for any situation and demand. Metal-on-metal fitting gives a firm connection, and prevents corrosion or overheating of contact surfaces.